As Voyager starts to make its way through the Delta Quadrant on its way home to the Alpha Quadrant, they pass a planet which has been decimated by a polaric energy disaster. 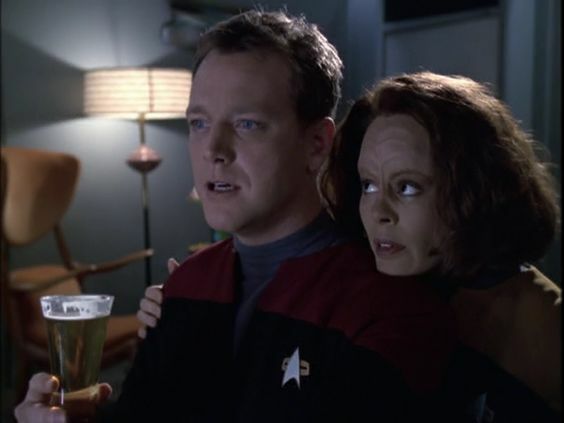 When the away team go to investigate, Janeway and Paris are pulled back in time to just before the disaster – the explosion had shattered time and space into fractures. 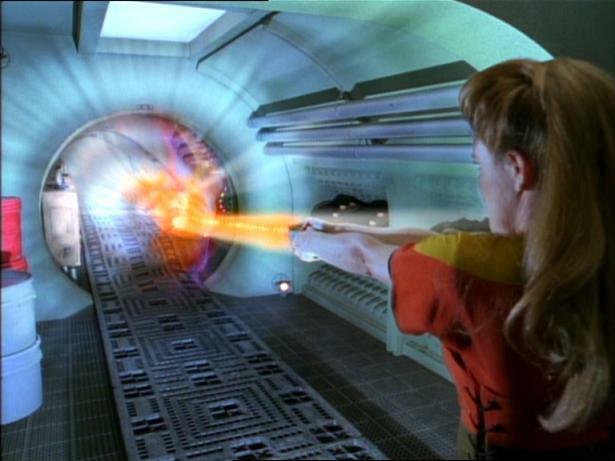 Unable to get back, Janeway and Paris attempt to investigate the cause of the detonation, but (to cut the story short), it transpires that it is Voyager’s own rescue attempt that causes the disaster, and when Janeway acts to counter their beam cutting into the past, the disaster is averted, and the whole incident never happened. We are returned to Voyager before they find the planet, and since it is a pre-warp civilisation, they just move on by without visiting. This is the first time we learn about Kes’ special mental abilities – when the civilisation is destroyed, Kes sees the explosion happening. I really love these time travel episodes, there are so many wild possibilities! I just love time travel! I have been physically out of fundamentalism for six years but it is only this year that I have started facing up to what that means, working through it, ‘deconstructing’. Recently I have started to be flooded with flashbacks and memories of my years growing up in the church in the 70s and 80s. The name of this episode always makes me think of Cyndi Lauper’s song ‘Time after Time”, which in turn makes me think of being a teenager in the 80s, in a world of conflicts between what I was seeing at school, in the news, and in ‘real life’ as compared with the worldview inside the bubble of the strict Baptist, evangelical church we were attending at the time. Now, when I say “attending”, it wasn’t just once on a Sunday. It was 3 times on a Sunday (10.30 morning service, 3 pm Sunday school and 6.30 pm evening service), Bible studies on Wednesday evenings, and ‘Youth Group’ on Fridays, constant dinners and visits with other members – rarely a day would go by without some kind of contact or another. We had effectively exchanged one cult for another. I regularly search for friends I had in these churches, but their names have zero hits on internet searches. It’s as if they have fallen off the edge of reality, as though I conjured them up out of my imagination. What happened to them? It always amazes me slightly when I search for the churches that there are no hits describing them as horrible, damaging cults. Did nobody experience them in the same way I did? I’ve already mentioned my friend who was being abused by the Sunday School Superintendent. But I wanted to share another incident that really affected me at the time and which I’ve been thinking about a lot lately. One of the older girls got pregnant. It was never discussed openly, only whispered about in quiet corners. This was not long before my mother got ill with her Bipolar, so I don’t know how this affected the church but I do know the girl in question was forced to give up her baby for adoption. I often wondered whether she was given the choice of adoption or marriage. I suspect that she was never even given a choice. I don’t know how this affected her, I only know how it would have affected me. I was and still am heartbroken for her. I can’t really put into words exactly how evangelical thinking is so toxic – so many other writers are doing so ably elsewhere. What really beats me is how, having got out of it almost completely when my mum got ill, I put myself under the same teaching again later on. I wonder now, what our lives might have been like if we had never got involved with evangelical fundamentalism? What if, when my parents met the American missionaries, they just said “no thanks, we’re happy where we are”? We wouldn’t have moved on to another toxic church, I wouldn’t have put myself under such toxic teaching again as a young mother. I am sure that my mother always had bipolar, as she had a breakdown before I was born, but she was stable for most of my childhood. I wonder, though, if she would not have got so ill if she hadn’t been triggered over and over by the toxicity of the church? But ultimately, it’s probably not very helpful to go over the ‘what if’s’. Sadly we can’t go back and undo what we did and what was done to us. I just need to know how and where we go on from here. 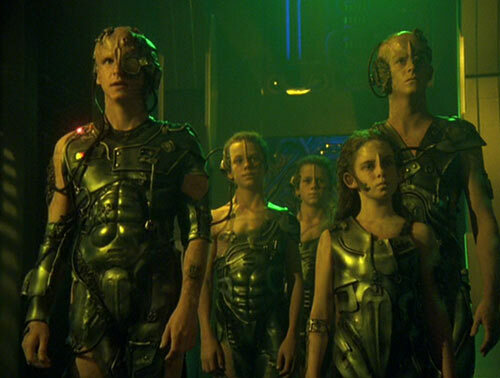 In the episode, the Voyager crew respond to a distress call from an unknown ship trapped in an anomaly, which – thanks to temporal mechanics, which are notoriously unpredictable – turns out to be their own distress call after they find themselves trapped in the same anomaly after trying to rescue the other ship, which is in fact Voyager. 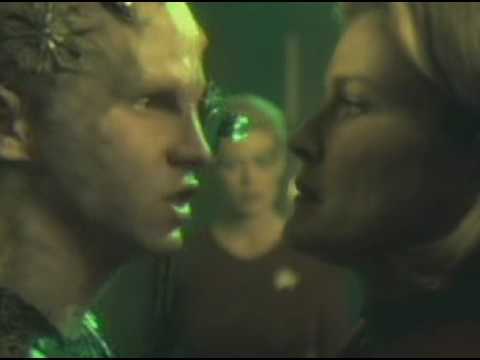 Meanwhile, Torres fights with Jo Carey who was in line for the position of Chief Engineer, and shows herself to be the most competent despite her issues with self-control and disliking the suffocating Star Fleet structure. 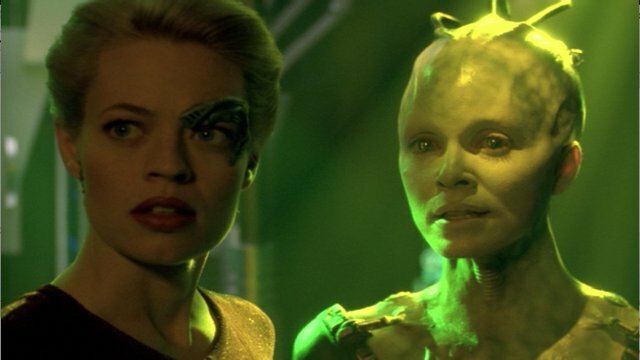 Having realised they are looking at a time-delayed mirror image of themselves, they have to punch their way out of the rift in the anomaly, making sure that they head for the real Voyager and not the mirror image. In the last few weeks, I have started looking at my childhood and young adulthood within Christian fundamentalism, and the effects it has had on me, my family and my children. Thankfully I got out before I allowed it to do any significant damage to my children. But coming face-to-face with what I was, what I believed and now what Christian Fundamentalism continues to do, is a little horrifying. I can’t believe that I’m looking at myself, even if it is a ‘time-delayed reflection’. Ironically, when it all gets too much to face, my natural inclination is to retreat back to the bubble of Fundamentalism, because it is so familiar and comfortable, it feels like home. This is classic Stockholm Syndrome. Even when the opportunity to escape presents itself, the world outside has become more scary (due to indoctrination) than the toxic world you know. I read just a day or two ago that it can take years if not decades for survivors to recover from the effects of spiritual abuse. I swing through a range of emotions, including a lot of self-loathing and lack of confidence, as well as an underlying arrogance I know I need to keep in check. I think this is all probably quite normal under the circumstances. But I’m beginning to realise that I need to be less hard on myself. What happened to me was not my fault. But I do need to take responsibility for my part in perpetuating the abuse, the legalism, the judgementalism. Where do I go from here? I feel as though I can’t trust my own judgement anymore. I don’t know what I believe, or what is true. I keep asking myself the question, is it possible to come out the other side with a ‘sane faith’? I think I need to go right back to the very basics and start again from scratch. re-examine what I thought I knew, what I believed to be unquestionably true. Somehow I need to throw off all the baggage of negative teaching and get to the other side. If only it were as simple as making a one-time decision, to ‘punch through’. I suspect it will be a little bit like forgiveness: I forgive, but I have to continue to forgive the same infraction over and over, every time it comes to mind. I must ‘walk in forgiveness’. Perhaps, equally, I must ‘walk’ in re-examination, critical thinking, accepting the good, rejecting the bad, over and over. My Dad’s motto in life, which he often repeated to me, was “Eat the meat, and leave the bones.” I think that’s a useful philosophy. Weigh it up. Analyse. Question. I particularly like the way Janeway and Torres bounce ideas off each other in this episode. I have seen a bit of talk on finding a ‘Spiritual Director’ lately (as well as an ‘Elder Board’ of peers to keep one accountable), and I am reminded how much I miss my Dad who was my mentor for a long time. I don’t know anybody who could match his intelligence and knowledge, or his warmth and kindness and depth of insight. Despite his experiences within Fundamentalism, and the real damage it did to him, it was he who showed me the God of love. I would be a long way away from this episode if I was going to blog the episodes chronologically in order. But I feel as though this is an important part of who I am and what I’ve been going through, and how I got to where I am. So I will dispense with order and chronology and just go ahead and skip to the end. My lovely new friend, Christian Janeway and I have had to clarify on twitter that we are not the same person, just two ex-fundies who had a similar idea. But Christian Janeway went on to say that whereas she chose her Janeway character and blog to catalogue her exit from complementarian theology around marriage, and I had embraced mine and later decided to become egalitarian. That’s not quite the case, and I’ll attempt to explain why. Firstly, the dichotomy between completarian and egalitarian marriage is not quite as polarised in the UK as it is in the US. Certainly, conservative churches would lean towards complementarianism where more liberal churches would lean towards egalitarianism, it is not such a big issue over here as it is over there. 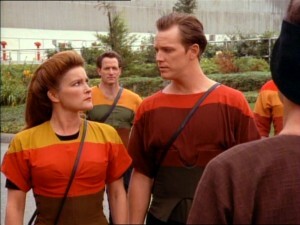 My Chakotay is not a religious man, and as far as he would be concerned, we have an egalitarian marriage. I happen to have stayed at home and adopted a more traditional role but not because he asked me to or because he forced me to (far from it). It was more a case of falling into it when children came along, but also additionally – because I had put myself under such very conservative teaching again as a young wife and mother – I forced myself into this role. I actually gave up my degree to follow him in his job. He would never have asked it of me, but I unselfishly submitted! (And I’m sure he never knew anything about it, just assumed it was what I wanted). Even the homeschooling, when it came along was not for any conservative or religious reasons – my eldest child seemed to have mental and emotional issues (which we thought at the outset might be ADHD and have turned out to be Asperger’s), which made learning at home seem to be the best option. But of course that was the route back into fundamentalism for me. Fifteen-twenty years later, I can see that forcing myself into a role for which I did not have adequate emotional resources or any outside support has done damage both to me and possibly to my children on many levels, including mental and emotional and academic. But whether going to school would have helped is debatable – my eldest child’s worst trauma actually happened at school when he went in aged 16 to complete his exam year, and I know that a lot of his Aspie friends who did go to school are now in the same position as he is – out of work and isolated. Looking at my facebook memories around this time, I see that 7 years ago I was planning to leave Chakotay for various reasons, which perhaps I will look at another day, but one of the biggest reasons was his Vulcan inability to communicate and show affection. All these years later, I realise that I probably chose him precisely because he was undemonstrative and not somebody who either felt intensely or would be threatening to me. He does have a temper actually which has exploded on occasion, but really he is very much the gentle man. I may talk about my ex another time, as that was quite a different relationship. My response, odd though it may be, was to write but I did it by multiplying my accounts on Twitter and Facebook and WordPress. I ended up with 4 separate facebook accounts, 10 Twitter accounts and 15 sites on WordPress. Yep. Each account had a different name and a different theme. I felt as though it was indicative of my state of mind, as though I myself had fractured into a million pieces. As some of you will know, I was assaulted by a group of young men in a pub last weekend. It was not a very serious assault, thankfully. Having spoken to the police, it transpires that there was no CCTV and so I shudder to think what could have happened. I was actually privileged on Sunday to preach and lead my first service at my current church (which happens to be a Salvation Army). I preached on the goodness and faithfulness of God. I feel as though I have so, so much to say, but this was the topic that impressed itself on my heart. Is it a coincidence that I was sexually assaulted the very next day? I don’t know. I don’t really know what to think about spiritual warfare, the devil, hell and spiritual things like that generally. The Pentecostal in me is yelling! Are you kidding?! Of course there’s no co-incidence! This was a spiritual attack, to remind me in no uncertain terms that I’m ‘just’ a woman, and probably shouldn’t be preaching. And that message is coming straight from the pit of hell! The Anglican in me however, a rather more rational, composed creature, can see that it really is probably more a case of having that deep seated vulnerability and unconsciously communicating it (body language? hormones/ pheromones?) as I go through life. The abusers are probably no more consciously aware of it than I am. I just need to learn, somehow, how to protect myself and communicate confidence. Is it healthy to continue in this fractured state or is there some way to re-integrate and become a whole person again? I don’t know. (I am probably going to delete at least 2 of the facebook accounts, if that helps!) Who do I want to be? Can I be homemaker and writer and preacher? Chakotay has told me on many occasions that I have freedom, I just don’t take advantage of it. My prison is of my own making. Part of me, certainly, really wants to be a ‘homemaker’ – The Waltons and Little House on the Prairie still look like the ideal life to me. But I’m not very good at it, and actually I think that my trauma comes into play there too. I’m just a little bit dysfunctional. I’m part of a group on Facebook called ‘Radical Homemakers‘ – a group of (mostly UK) women who have purposely chosen the domesticated life for various reasons, but who are also committed feminists, determined to smash the Patriarchy from home. I do wonder how I got to 40 without realising or understanding what Patriarchy is or how damaging it can be. But I suspect that it probably has something to do with the nature of the debate in the UK. Whether we realise it or not, the churches here are deeply influenced by American theology, but when it is communicated over here, it tends to be more subtle. We don’t even notice it. What is the way forward? 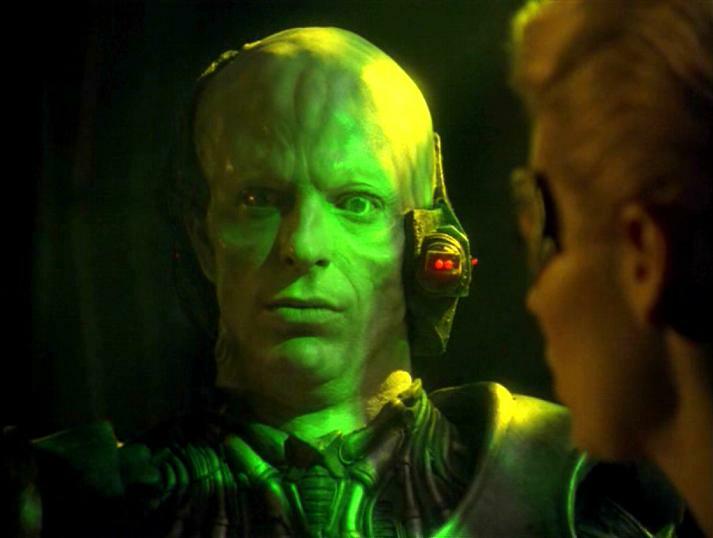 In the episode, they have to inject the bio-neural gel packs with a chroniton-infused serum to take every part of the ship back to the point of the original trauma. In real life? I think that means going back and facing all those demons, bringing them out into the light to see what they’re made of, and finally defeating them. Obviously it’s a little bit more complex than that, but I think that is the gist of it. I suspect that, if childhood sexual abuse had been involved – which thankfully it wasn’t, it would be a different matter and I don’t know enough about that to know how that can be overcome. But for me, untangling my background of spiritual and church abuse and dysfunctional family is the only way I can be made whole. Will it make me a better homemaker? I don’t know. We took mum home about six weeks ago now. Since she has been gone I have tried really, really hard to relax and largely failed for some reason. I don’t ever seem to be able to properly relax. I thought that reducing stress would help my physical health but instead, somehow, it has just got worse and worse; despite which, all the results of all the testing I was sent for, and all the various referrals to different consultants have come back negative. My MRI showed no obvious evidence of damage from my bike accident. Endocrinology didn’t find significant evidence of Cushing’s. There would appear to be an intermittent excess of cortisol, but there doesn’t appear to be a tumor either on my pituitary or my adrenals. The non-significant levels don’t justify more testing. It would appear to suggest that my cortisol levels are likely related to anxiety. Anxiety that I wasn’t consciously aware I had. I have reverted to my previous agoraphobia. Agoraphobia of course is a sign of anxiety, but somehow I didn’t connect it. Now that I don’t have a group to go to, I pretty much don’t go out unless I have to. I go to church on a Sunday (and once I went twice!) and I go out if husband drives me somewhere. But largely, I am hibernating and hiding. I hadn’t realised until recently what the source of all my issues were, but a chance conversation on twitter, together with a conversation with my eldest child has forced me to confront some very dark and disturbing issues from my past going back to my childhood. I’m not sure whether I want to dwell on that here. I have other places to talk about mental health and spiritual abuse (for that is what it was, if anybody is interested to look at that). The question is, how to move forward. I know that I have to confront my past if I’m to get through it and get well and recover mentally and physically. Talk about it, write about it, meet with other survivors, they say. But just thinking about it has made me more physically ill than ever. I prayed at the end of last year that God would reveal the true source of my illness so that I could get well. I really thought I was on to something when I the doctor suggested Cushing’s. I think she was right that cortisol is a big issue. But the cortisol is actually (probably) in response to trauma. I wasn’t ready to consider that, but now that I do it all makes sense, and I just want to cry. I have to open up a whole Pandora’s Box I thought I had long buried. It makes me feel vulnerable, like a little girl again. 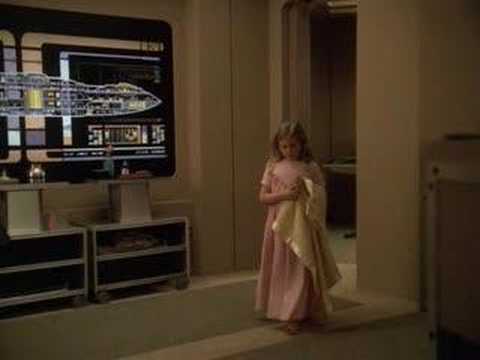 If I still have any Star Trek fans following me, you will recognise the name of the Voyager episode in which Seven is confronted by her past – in which her parents took the risk of studying the Borg, thinking they wouldn’t be harmed, but not only are they harmed but they allow their daughter to be harmed, taken by the Borg and raised by them, and in turn Seven goes on to commit atrocities on others as a Borg herself. It’s a very good metaphor, for me, effectively being raised in a cult-like church, and later going on to do harm to others in the same vein (in particular, I regret, my eldest child). It’s not easy to face. This blog was originally going to be talking about handicrafts and gardening and cooking and learning to ‘homestead’ through the lens of Janeway and Chakotay finding themselves marooned on New Earth in the Delta Quadrant. I thought it was a good metaphor for my isolated life in rural Cornwall. I still hope to include those aspects – part of me longs for that ‘Good Life’. But there are other issues which have come to the fore recently – related to my self-named status as a “progressive fundamentalist” which are forcing me to look long and hard at who I am and how I got here. I have been speaking recently with another Star Trek RP account – Christian Janeway – and I have been amazed at how much we have in common. Conversations on Twitter, and with my children over the last week, have prompted me to recognise just how damaged and damaging I became as a member of a fundamentalist church in my youth and again as a young mother, and so I thought that, in the first instance, I would write a brief summary of what that has entailed. I wasn’t expecting to bare my soul or look deeply into difficult and painful corners, but I think it needs to be done; and as I have said elsewhere many times, my two favourite forms of therapy are Star Trek and writing. Even if nobody reads this and it helps nobody else, I hope it will help me to move on. When I was very young (this was in the mid 70s through the mid 80s), my parents were happily attending a lively Pentecostal church in a small town north-west of London which happened to have a US ex-pat community. Somehow my parents came in to contact with American fundamentalist Baptist missionaries to England who dazzled them with personality, charisma and authoratative confidence and persuaded them to leave the Pentecostal church – which they convinced them was at best fake and at worst, probably of the devil – and start a new fundamentalist Baptist church with them. Before long there were a number of families and additional children associated with the new church. I was mostly too young (approximately ages 6-13) to fully comprehend the depth of what was going on, what was being preached, and how my parents were more and more controlled in every area of their lives – to my conscious mind, all was good, these were the best days of my life – because we saw so much of them, because they often stayed at our house, we were practically living in community with them. Our whole week was in some way or another controlled by the church. It wasn’t just Sunday morning and evening, it was Sunday lunchtime, midweek dinners, Bible study evenings, prayer meetings, members’ meetings, social calls. It was completely engulfing. What I didn’t realise at the time was that my parents’ mental health was suffering in different ways (my mother later had a mental breakdown, my father expressed it as physical ill health). We eventually escaped the church in two stages – firstly, the American Missionaries went home on furlough for a year, fully expecting my father (who had been partially trained, for about three years for the pastorate with their organisation) to keep the church going in their absence. What actually happened instead was that my father rebelled and pretty much immediately after the Missionaries left, allowed the families to go to another church during that time. I don’t know what ire this behaviour invoked when the absent Pastor found out – I’m sure my father would have been on strict instructions to contact somebody else here in the UK from the organisation for assistance rather than allowing the church to close; my father kept everything close to his chest so I don’t know his thought process or decision process. I probably don’t know the half of it. I do know that my father never really ever recovered from the damage they did to him. When the missionaries returned, they were obviously furious about what had happened and again although I don’t know the details, I can only infer that they made my parents’ lives a little bit hellish and so stage two was to move away from the area altogether. The missionaries were never able to re-establish the church in that area, and were eventually re-located by their organisation. Right before we moved, I had a serious bicycle accident which was probably a hit and run (my memory of it is very hazy but my bike was definitely run over), in which I sustained a head injury which has affected my health ever since. This led to my mother becoming mentally ill. Around the same time I became mentally ill myself with Anorexia. I always thought that it was linked to my head injury, which it might be, but I am beginning to suspect that it might be an after-effect of the church. I will explore that at a later date. My parents, prior to my mother’s breakdown, embarked on a search for the perfect church. Still affected by the fundamentalist teaching they had, and despite all the damage it had done to them, the new church had to measure up in some way to the church they had left, so after rejecting several perfectly nice churches, we ended up in another strict Baptist church with its own issues. (No doubt the most serious being that the Sunday School Superintendant was ‘having an affair’ with a 13 year old child. Note it was the 80s, so that was how it was phrased at the time). When my mum got ill, the church were pretty incredibly useless and unhelpful, not being able to deal with mental illness, so that turned out to be a blessing in disguise and we were able to leave there. I spent some time at a very good church during my teenage years which was gently charismatic. A nice balance, not over-the-top crazy Pentecostal. (It was a Salvation Army by the way – they’re variable, and have their own issues, but I have to say that this was my happiest time and probably the healthiest church I ever attended.) The fact that it was charismatic would have bothered my parents considerably a few years earlier but by that stage they were beginning to realise that some of the fundamentalist teachings had been wrong and harmful, so they let it go. My mother even attended there for a while. To cut a very long story short, I hastily married the first boy I slept with and promptly regretted it, and hastily got into another relationship (with Chakotay). I was pretty consumed by guilt and shame which I had learned under the teachings I had learned early on, and so when I started home educating my children (for totally non-religious reasons!) I soon *put myself* under the teachings of extremely conservative fundamentalist teaching again. Everything was so familiar that I lapped it all up – quiverfull teaching, headcovering, submission for godly wives, corporal punishment for children (which I totally disagree with and regret btw) etc. I literally could not find a physical church conservative enough for me! Probably as a result of that irrational drive to find the most conservative form of Christianity, I started looking at the Messianic movement. I actually spent ten years in Messianic Judaism (one year of which actually involved rejecting the whole thing and seriously trying to convert to mainstream Judaism – another story, for another time), and I hope that I have taken and absorbed the best and most positive aspects. The actual physical fellowship I was involved with were absolutely lovely and kind and generous and unfundamentalist! But there is in Messianic Judaism – principally online, for me, as I’m in the UK – a very fundamentalist thread which is every bit as damaging as mainstream fundamentalism (if that’s a thing). Unfortunately, I was under those two strains of teaching for long enough (20 years in total plus the original 6 or so) for me to perpetuate some of the abuse that was visited on me onto my children. It was totally unconscious and unintended, and I am utterly mortified at the damage I have done. Icheb, my eldest, seems to have borne the brunt of it all, while the others seem largely unaffected, thankfully. I don’t quite remember how it happened, but something snapped at some point and I realised that I was part of something really very nasty and unhealthy that was replicating some of the exact same abuses that I had been part of as a child (being told that you must separate from every other sort of Christian, that the rest of the Church is wicked and evil and not of God etc for example). Chakotay, who is not a religious man at all (alas, my Chakotay doesn’t even go in for spirituality) tolerated all of the above, mostly blissly ignorant of what was going on in my head, but he could see that I was getting physically and mentally ill and that was affecting the children. So he unilaterally decided to move us – hundreds of miles away from where we were, to a place so rural and isolated that there was no internet. I’m still a little bit angry with him for doing that (and I have mentioned my inability to speak up for myself earlier today). But in actual fact, it was a good call. The last six years have been long and hard and lonely and painful, but removing me from that whole social circle has enabled me to re-evaluate everything and begin to heal. In many ways, he is my hero, and I am so grateful that he is such a gentle, kind, slow-to-wrath kind of man. He is certainly not without fault, but he has been so much more gracious and godly than so many Christians I have known. Anyway. That is enough for now. These are some of the issues I want to work through here on this blog. I hope you will stick around and I hope it will help some people to heal too. 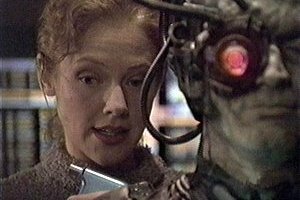 It had occurred to me a while ago to start posting using the titles of the Voyager episodes, but life has been overwhelming over the past 6 months while I myself have – in a sense – been co-opted into the position of caretaker. My (fairly) elderly mother moved in with us 6 months ago due to ill health at the time. But it transpired that much of her physical ill health was due to toxicity from her prescription medications, and now that that has been addressed, she is feeling physically well enough to go home again. I can’t say how relieved I am. 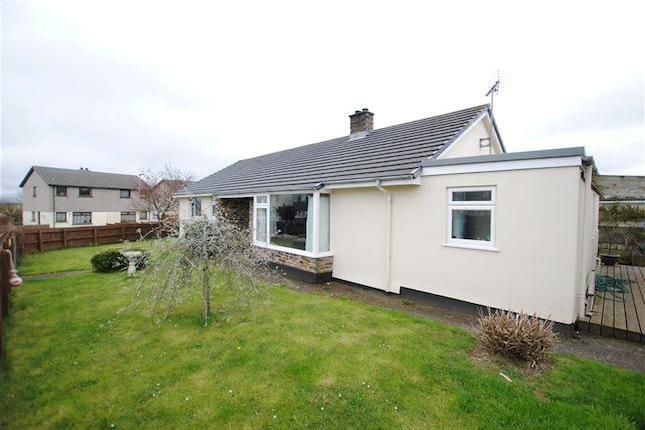 We moved house into our new home with my mother, but consequently it has felt as though we were living in her house rather than the other way round. And I can’t begin to tell you how excruciatingly stressful it has been to have an effective stranger living in our home. Yes, she is my mother, but I have lived independently for almost 30 years, having left home at 16. That’s not even to mention the fact that mother’s illness is not primarily physical but mental. I really don’t want to dwell on that here, but suffice to say that being a carer for a mentally ill person put extreme stress on me personally and my own mental health as well as the family generally. One good thing that has come out of mother living with us has been that I finally admitted that I could not cope on my own with the housework (without putting to fine a point on it, none of the other 6 adults and teens in the house really do their fair share), and so I decided to employ cleaners to pull up the slack. I wish I had been able to get over my pride/ guilt/ shame ten years ago when the children were little and I really needed help. Why do we women do this to ourselves? Struggle on, berating ourselves, assuming we have to do it all? The only thing is that I’m not sure I’ll be able to afford them when mother leaves. But to be quite honest, I think that having my house and my life and independence back will be so wonderful that it won’t matter. I am really just looking forward to being alone together again. I wanted moving to our new place to be the beginning of an adventure. It’s not quite the ‘homestead’ that I had dreamed of but it is our own place finally – with a garden where we cook grow food and do all those homemaker-y things I imagined I’d be able to learn here. It hasn’t been possible while mother has been living here, because all my energy has been focused on her. I feel terribly guilty about being selfish letting her go. But it is what she wants, and I am looking forward to resuming my “journey toward home”. Perhaps, when we are more settled and have a solid routine, we could manage to let her return. But for now, I just need space and time to recover myself. If She Tries to Resist, Assimilate Her! Just a very brief outline of what was upsetting me yesterday, and will no doubt continue to unsettle for a while. To cut a long story short, the group decided to break free of Rethink and set up on their own (there was actually a very acrimonious split but I won’t go into details). It was decided that the group would amalgamate to be both a Fibro group and a mental health group and since we were all friends, we could divide the time informally and equally between the two. I thought it suited everyone. But then, just after Christmas, there was a big, bad falling out and one of the members left/ was pushed out of the group, and one or two members made a complete turnaround and decided to ask Rethink to step back in, as though everything that had happened before and all the reasons we ejected Rethink were irrelevant. I was given leaflets to re-apply to Rethink to be ‘assessed’ by them, and I filled them in but carried them around in my bag for weeks, really not quite comfortable about being involved with them again (not to mention the fact that I was unhappy about various aspects of the way the group was going, not least of which was the decision to offically call the group a Mental Health group and ignore the ME & Fibromyalgia). On Friday, we weren’t able to get to the group and apparently they met with Rethink without us. Rethink determined that nobody could be a member of the group anymore unless they were assessed and approved by Rethink and so we could no longer attend meetings until we got that sorted out. Not only that, but they stipulated that we were not even allowed to meet members of the group for coffee until Rethink had approved us. They seem to be honestly surprised and confused that I would disobey. They had not anticipated it and apparently everybody is reeling because I have broken the group up! Of course I am very sorry and upset to have hurt or upset my friends. But by all accounts, I think these friendships must have been very weak and superficial if not entirely fake if they would submit to tyranny for the dubious promise of safety that Rethink offers. I think I probably need to learn to say “no” louder and more determinedly at an earlier stage if I’m to avoid repeats. But in this instance, I think it’s all over and we need to stand our ground and be prepared to lose the group to Rethink. I’m not willing to submit to the malevolence or incompetence of a group that has already shown themselves to be untrustworthy and more trouble than it’s worth, and I doubt the others are strong enough to resist. I hope I’m wrong and the friendships will survive despite the disagreement (and Rethink’s ridiculous rules). But somehow, I very much doubt it. They’re Civilians! 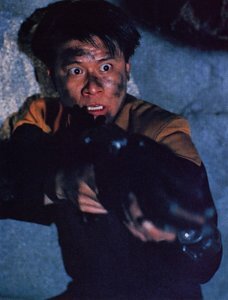 Civilians with Partical Weapons! Apologies for the rather long hiatus in posting. Life as a full time (mental health) carer has been very taxing indeed, and I have found that my life and ‘free’ time has no longer been my own and, when I have had free time, I have been too exhausted to use it productively. There have been lots of things going on, and there are lots of things I could post about but I will have to think about what and how much to share, why I’m writing in the first place and who my audience might be. Since the Autumn I have also been battling with the NHS system to get to the bottom of my health issues. I now have an official Consultant-led confirmation of the diagnosis of ME, although disappointingly that doesn’t seem to help much – the general gist of things is that they can’t really do anything very much to help me. But I have seen a neurologist and will be referred back to the Pain Clinic apart from other things. Additionally, my GP has been looking for evidence of Cushing’s Disease. It is considered a ‘rare’ disease, but it is on the list of endocrine disorders that should be ruled out before diagnosing either Fibromyalgia or ME as well as Adrenal Fatigue/ Exhaustion. It’s actually in a way rather the opposite of Adrenal Exhaustion since AE is a lack of adrenal hormones (the adrenals are exhausted) whereas Cushing’s is an excess of adrenal hormones – in particular, cortisol, which may be caused either by overuse of steroid medicines or the presence of a pituitary or adrenal tumour. After various stages of testing, I have an appointment for a kidney scan (primarily to find out why my blood pressure is so enormously high and resistant to meds), and I’m waiting for the results of a new MRI. My GP said that, even though my cortisol levels appear normal so far, if there is no mass on my kidneys she will order an adrenal scan as there is obviously something not quite right. So no results yet but I feel as though I’m making (slow) progress at last thanks to my lovely GP who is the first to take me seriously and keep on testing until we find the truth. The dishwasher is now in the house, but I’m still waiting for it to be plumbed in, so I have been washing up the old fashioned way for 7 people for 9 days! I have only had a dishwasher for 2 years out of 22 of being married, but having tried it, I loved it and don’t want to go back to hand washing! How spoiled I am! I keep wondering how previous generations of wives and mothers coped with washing and cleaning and cooking without all the modern conveniences we have? My grandmother had a twin tub (separate compartments for washing and spinning) but before that, she did everything by hand. Getting married and having children was pretty much a commitment to a life of drudgery! In all the rush to simplify, de-clutter, downsize and go back to basics, what is most important? Why are we doing this? For me, the answer is twofold – I want to be with my children at home (and work for myself! ), and I want to learn and preserve traditional crafts. But is it necessary to tie myself to a life of drudgery in order to do that? I don’t think so. Gadgets and machines are just tools. We can make use of them to make life more manageable. The trick, I think though, is not to allow ourselves to become so dependent on them that we can’t live without them.